E-activism is beginning to gain popularity in Russia, however, the majority of people do not believe the government is willing to listen to them through this platform. 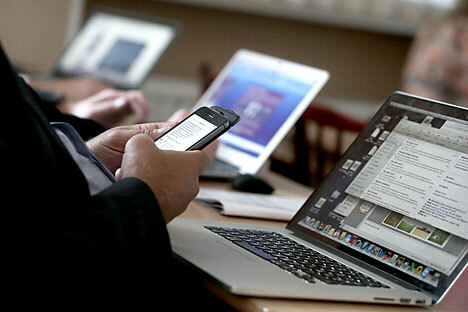 Civil activity in Russia appears to have found a new format of expression – electronic. Russians are now petitioning the authorities via the internet with greater and greater frequency, using special public platforms to address their concerns. Thanks to various websites aimed at gathering petitions, complaints, and comments addressed to the government, in the past few months civil society has managed to bring about the dismantling of the Shukhov Tower in Moscow and the closure of the hazardous Ecolog waste incinerator plant, as well as saving an orphanage in the Saratov Region from closure. However, these are just the most widely publicized cases; everyday, thousands of ordinary Russians’ minor problems are being resolved via online communication, according to statistics collected from the Yopolis and Angry Citizen civil e-platforms. Even the Moscow metro disaster of July 15 came within a whisker of being averted, due to the vigilance of regular passenger Sergei Molostvov, who noticed a problem and contacted the relevant body. On June 15, internet activist Molostvov sent a message to metro authorities explaining that the cars on the dark blue line of the Moscow metro shook profusely when traveling along a certain section of the line. “Everyday I traveled through the same stations where the crash later happened. It was uncomfortable for passengers to travel – it shook them, they fell, they dropped their phones, but no one said anything,” Molostvov said in a conversation with RIR. On July 8, in response to his complaint, metro staff sent an explanation that the rails along those sections of the line were curved in some places, but within the norms. Unfortunately, the case went no further, and a week later, on July 15, a deadly crash occurred on the same section when a train derailed, killing 24 people. Civil activists interviewed by RIR agreed that there are two key problems opposing a successful transfer of civil activity to the internet. The first issue is that only 60 percent of the population has regular access to the internet. The second is a case of mentality – people simply do not believe that the authorities will read their comments. Red tape has also been an obstacle to public initiatives. Previously, if Russians wanted to address the government, they had to write a letter to the newspapers or a statement to official institutions, send the correspondence by mail, and wait for a response. Things started looking up in 2010-2012, when Russia saw a peak in civil political activity. In 2010, Alexei Navalny, one of the leaders of the opposition movement, launched an internet service called RosYama, where users could submit photographs of road defects and their location. The website automatically offered to fill out a form on behalf of the complainer and dispatch the complaint to the State Traffic Safety Inspectorate. If the complaint went ignored, RosYama would redirect it to the general prosecutor’s office. Officials were forced to respond and take action to fix the problems. The success of RosYama inspired Navalny and his team of developers to create similar websites. As a result, several internet services became popular: RosZKH (solves housing and utilities issues), RosPil (monitors public procurement corruption), RosVybory (detects electoral violations), and Dobraya Mashina Pravdy (‘The Good Machine of Truth’ in English, it publishes information about malfeasance on the part of officials and state-run companies). Following in the footsteps of these projects, the government has started making use of the electronic potential of civil initiatives. In 2013, the Russian Civil Initiative was launched. President Vladimir Putin personally said that any civil initiative to garner 100,000 votes on the website would be considered by one of the Russian parliamentary chambers. Soon after, a similar resource was opened specifically for Muscovites, and similar platforms are now emerging in other regions and cities. The Angry Citizen platform has even started turning a profit on the social activity of citizens. Its creators used change.org, a popular international petitions platform, as their model. However, whereas change.org earns money by publishing petitions sponsored by private companies, the technology used on Angry Citizen is offered on a commercial basis to state entities and organizations. For example, the Russian presidential administration recently started using the Angry Citizen system’s tools to collect additional analytical information, said Dmitry Kokh, CEO of the company Intellectual Social Systems, which is developing the project. Artyom Gerasimenko, an internet activist and leader of the SocioBeg movement, said it does not matter which internet platform a citizen uses – state or public – so long as it works. “State platforms achieve results more quickly for citizens’ requests because they are an administrative resource. At the same time, social resources belonging to private companies are more dynamic, and they use interesting technology to attract citizens,” he told RIR.